In April, PreSonus introduced a very exciting product – the $1000 Quantum audio interface. 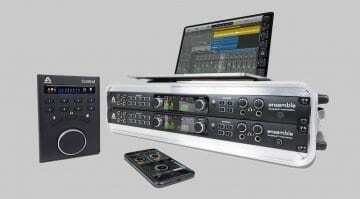 It sent a very clear message to buyers and competitors – genuine pro-audio interfaces, the kind with enough connectivity options and power user functionality to keep a mid-sized studio going for years – are now $1000 material. Take it or leave it! The competition might have been caught by surprise, and it took several months before a counter strike was initiated. That was MOTU’s 828 ES, a thousand dollar rival that’s not quite as feature-rich, but could get studio owners on a budget crying tears of gratitude with its tight build and impressive connectivity. Barely a week later, Antelope Audio – the Mercedes Benz of modern audio interfaces – followed with the Discrete 4 & 8. Meanwhile, PreSonus must have ran borderline military-level intelligence on its rivals, for it unveiled a sequel to the Quantum the very moment competitors showed signs of life. The Quantum 2 is a fact and it’s out for blood! Q2 is a fair bit smaller than the original, to the point it could pass for a jumbo-sized desktop unit. It’s a 22-input, 24-output audio interface that connects via Thunderbolt 2 to deliver 24-bit, 192kHz sound with the lowest possible latency. 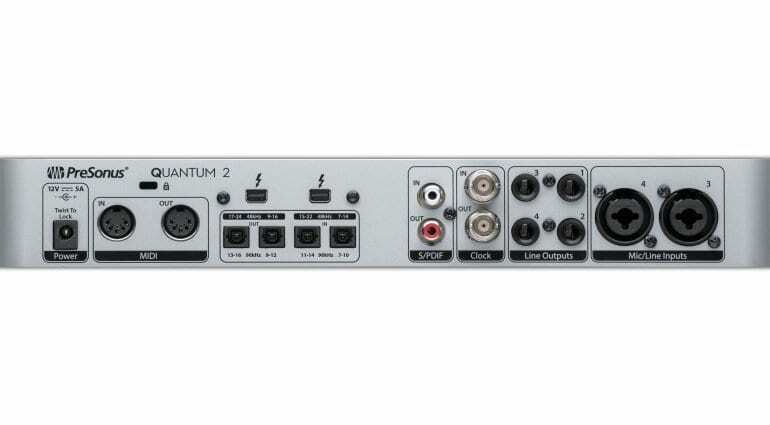 In case you need more audio channels, up to four Quantum 2 units can be hooked up over Thunderbolt for a maximum of 80 inputs and outputs. 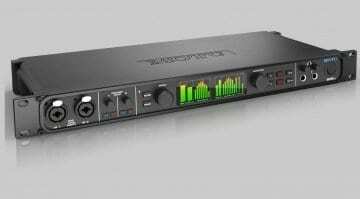 The interface has a pair of combo mic/instrument inputs featuring XMAX preamps and 48V phantom power, along with a pair of outputs. You will also find four 1/4-inch TRS line outputs and a single headphone output with dedicated volume control. 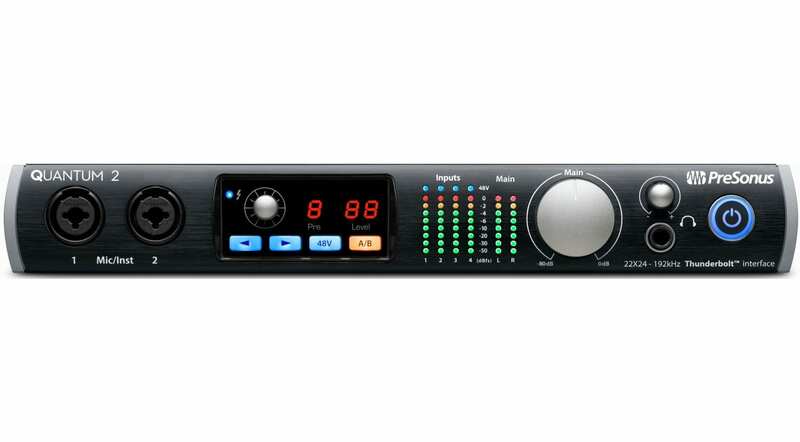 The extended connectivity is achieved via ADAT and S/PDIF, providing up to 18 more digital inputs and outputs. MIDI inputs and outputs are available, too. To seal the deal, PreSonus added the PreSonus Studio One Artist DAW – an audio workstation with enough features and possibilities to handle small and mid-sized productions. On top, there’s the Studio Magic Plug-in Suite with software by SPL, Lexicon, Eventide, Softube, Brainworx, Arturia, and other industry heavyweights. Finally, most of the Quantum 2’s features can be controlled from the free UC Surface control software available on Mac, Windows, Android, and iOS. PreSonus will launch the Quantum 2 later this month, priced at $700. While we wouldn’t call the price point aggressive, it’s reasonable and fair both for consumers and PreSonus. This kind of money for a powerful audio interface with a hearty software package on top sounds all sorts of good, and the interface doesn’t seem to be missing anything substantial, apart from maybe on-board DSP? Do built-in DSP chips still make sense in an era where raw computing power is cheap and abundant? We’re a little sceptical on that, but then again, that’s another topic for discussion! 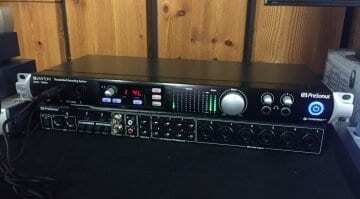 With the Quantums, PreSonus should be confident in having the $700 and $1000 price points handled. Meanwhile, the competition seems to have gotten the message loud and clear. We expect some more $700-$800 devices with “big boy” functionality showing up in the coming months. The more, the merrier!